By all accounts, today’s Texas VegFest was a great success. 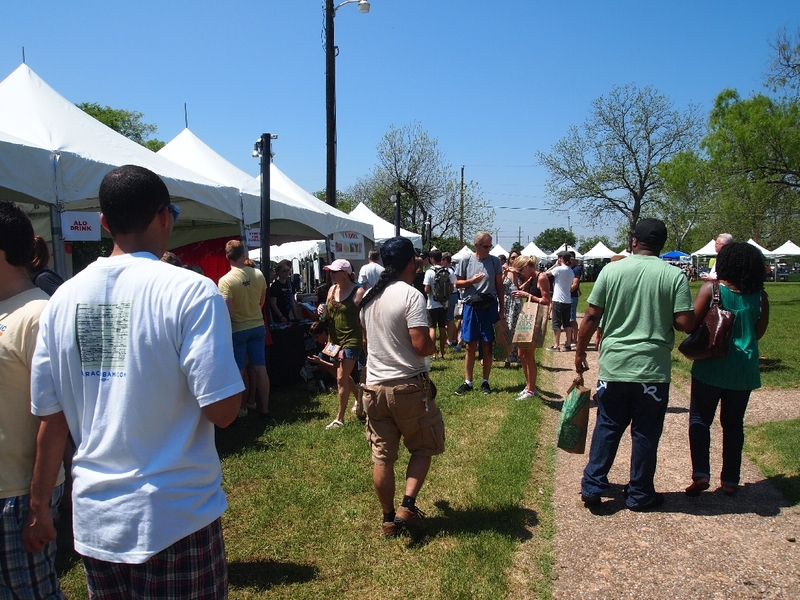 The Fiesta Gardens fairgrounds in Austin, TX, were full of people eagerly learning about the health benefits of veganism & vegetarianism, sampling products from companies that make vegan/vegetarian food, and listening to engaging speakers. While volunteering, I was able to see vegan cooking demos by both Isa Moskowitz of Post Punk Kitchen (unfortunately I only caught the tail end of this one) and Terry Hope Romero of Vegan Latina. Terry made some delicious – I know because I snagged a free sample – tamales filled with seitan and veggies cooked in a delectable red chili sauce. We have gotten into the habit of making Peruvian-inspired tamales (like our Magic Purple Quinoa Tamales), but Terry’s vegan take on the traditional Mexican style made me remember how good those are too! Robert Cheeke, a vegan body builder. 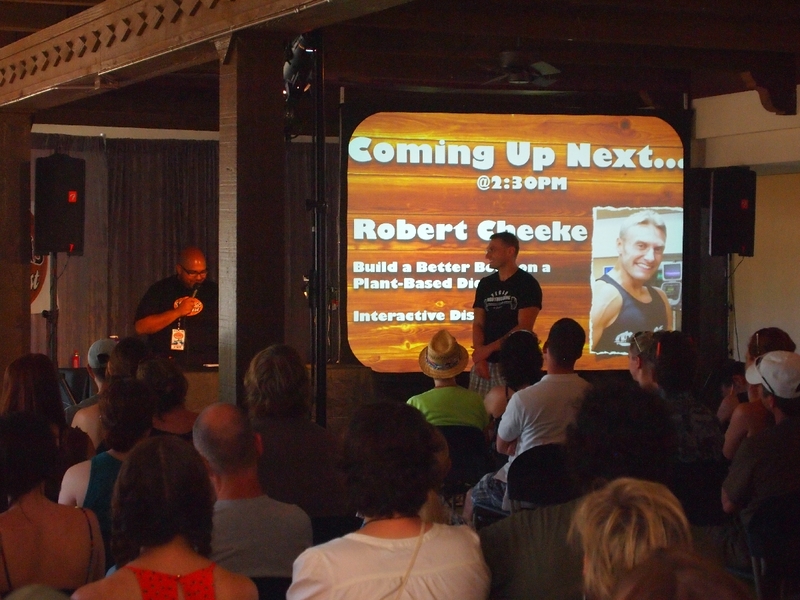 I also got to attend an engaging talk by Robert Cheeke of VeganBodybuilding.com. Robert’s talk focused on the importance of eating whole, nutritious foods like leafy greens and power-packed grains like quinoa, as well as being honest with yourself about meeting goals and tracking your progress. I really liked that he encouraged listeners to eat real foods instead of processed “meat-substitute”-type products. Aside from being more healthful, using whole foods encourages vegetarians to to focus on the goodness of real vegetables and enjoy those tastes and flavors.